Tutkovsky, Pavlo [Тутковський, Павло; Tutkovs’kyj], b 1 March 1858 in Lypovets, Kyiv gubernia, d 3 June 1930 in Kyiv. Geologist; full member of the All-Ukrainian Academy of Sciences from 1919 and of the Academy of Sciences of the Belorussian SSR from 1928; brother of Mykola Tutkovsky. After graduating from Kyiv University in 1882, he taught secondary school and in 1914 was appointed a lecturer at Kyiv University. 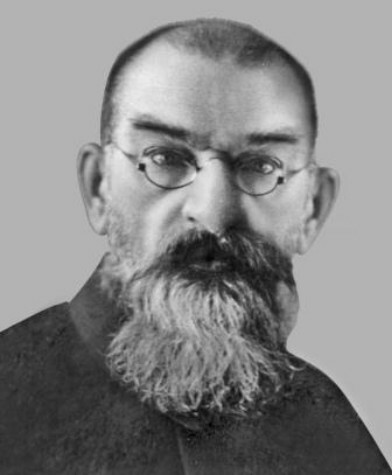 He helped organize the All-Ukrainian Academy of Sciences and headed the physics-mathematics (1919–24) and geology departments. He was one of the founders of the academy's geological museum. He wrote numerous scientific works on mineralogy, petrography, geochemistry, paleontology, hydrogeology, geomorphology, and regional geology. He is the author of the eolian theory of loess formation and one of the founders of the micropaleontological method for studying sedimentary rocks. In 1895 he proposed a project for supplying Kyiv with artesian water, which was later implemented. He wrote many textbooks of geology and geography and the first Ukrainian dictionary of geological terminology (1923).